Summer weather calls for ice cream! 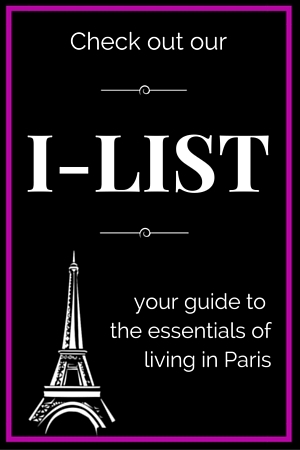 And, ooh là là … we have some fantastic options in Paris, from the classic to the exotic. For the last couple of weeks, as a French food lover, I’ve been doing a little research, tasting lots of ice cream, to bring you my favorites in the city known for mouthwatering food. The shop is located at the end of the main street, down the center of the island, and has a wonderful ice cream salon next door where you can sit down to eat. The queue here is usually super long, an indication of how coveted their scoops are. Take heart, there are lots of little shops on the islet that sell the glace – just be sure to look for Berthillon on the sign. Italian ice cream in Paris? Si Si! If you are craving fantastic gelato without the train trip to Italy, this is the place to go! You order from a counter outside while practicing your Italian pronunciations, then pay inside where you can sit down. Or take your scoops to go, so you can wander further through the streets of the enchanting Marais, one of the oldest parts of Paris. I loved the classic stracciatella and got a fantastic strawberry gelato too! If you’re looking for an artisanal ice cream shop that still makes ice cream by hand – oh, and is run by one of the best ice cream craftsmen in France – then Une Glace à Paris is the place for you! With flavors like Smoked Vanilla Bean from India, Avocado, Baba au Rhum and Thé Vert Matcha, it’s hard to choose. But then you add in the ice cream creations available, such as the Mille Feuille (made to order with – you guessed it – ice cream), milkshakes, or the incredible ice cream pastries. You can see why I end up going in circles looking at the menu before finally narrowing it down to one or maybe two treats. Hand-rolled ice cream is the new trend in ice cream, and a fun experience on a hot day. Ice Roll has developed a special chilled plate to which they add your favorite base before forming it into ice cream before your eyes! The neat thing is that it is scraped into curls before being placed in a cup for a really beautiful design. Then you have a choice of any toppings you’d like. The ice cream isn’t the most extraordinary, but it’s certainly a new food experience. And with Place de Vosges just around the corner, there’s a perfect park to sit and enjoy your creation while soaking up some rays. This is a great stop for pastries and now, for the summer, a wonderful stop for ice cream. Just like with their the pastries, Fou de Pâtisserie offers a unique selection of ice cream from all the top chefs in Paris! Be sure to explore this animated street, too, and stop by Stohrer, the oldest pastry shop in Paris! Now for a treat equally as refreshing … La Paleteria is a popsicle place on Île Saint-Louis with really fun flavors like chocolate cherry, clementine, mojito, and speculoos, those delicious spiced French biscuits. This would definitely be a fun stop to try before heading to a picnic along the Seine River or just on your route to exploring the city of light this summer! Did we miss your favorite ice cream shop? There’s lots of time to taste all these delicious French ice creams and popsicles. Did I miss your favorite parlor? Let us know where you find your bonheur in the comments below! I love your women’s guide! Come and visit our Home Made Gelato and Sorbet shop in Saint Germain des Prés and taste our amazing Home Made Frozen Yogurt! 5 rue de Montfaucon 75006. Yummy! Frozen Yogurt too. Will definitely check out. Thank you.